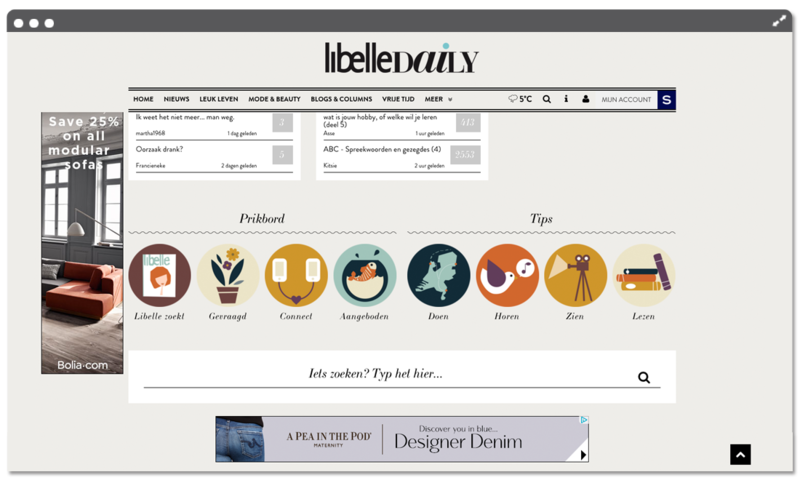 I had already designed the new website for Holland’s most loved media brand Libelle and I was also the lucky one who got to create their new forum icons. Libelle has a strong identity but manages to stay relevant and fresh year after year after year: for 82 years this magazine has been handed down to generations. The new generation of Dutch women does not only read the magazine and visit its events, the website has a very strong following as well.